1. Becoming familiar with CSR > What is the purpose of a company? > What should be the purpose of the company? 1. Becoming familiar with CSR > What is the purpose of a company? > What is the purpose of the company? 1. Becoming familiar with CSR > What is the purpose of a company? > What to keep in mind ? 1. Becoming familiar with CSR > What is CSR? > What to keep in mind ? 1. Becoming familiar with CSR > Who are stakeholders? > Who are the stakeholders? 1. Becoming familiar with CSR > Who are stakeholders? > How to identify the relevant stakeholders? 1. Becoming familiar with CSR > Who are stakeholders? > What are the key issues to address? 1. Becoming familiar with CSR > Who are stakeholders? > What to keep in mind ? 1. Becoming familiar with CSR > Which criticisms about CSR? > What to keep in mind ? What is the purpose of the people working in actual firms? One could say that people should be free to define what purpose they wish to attach to their activity up to a certain point. One striking fact is that only a minority of firms emphasize the maximization of shareholder profit as their main goal in their statement of purpose. Some firms may see the satisfaction of consumers as their goal and the maximization of shareholders’ profit as a constraint, as a mere means to invest and manage to produce the goods and services they wish to make available to consumers. Others may see that their main purpose is to maximize shareholder’s profit and that in order to achieve that, they need to be able to sell goods and services to consumers. I think that it matters that both firms themselves and states as the authors of laws that frame the action of firms define such a purpose. In the same way as we don’t expect the same tasks from a fireman or from a lawyer, from a secondary school teacher or from a farmer, it also makes sense to expect some degree of differentiation between the purpose of a pharmaceutical company and the one of a church organization, between the purpose of a state and the one of a political party or trade union. There is no way we could define the purpose to be assigned to firms in isolation from the purpose of other organizations. There is no way to justify the purpose of firms without knowing whether there is a state in charge of certain tasks, whether there exists universities in that country, etc. If we often get a sense that firms don’t do as much as they should, it means that we have a sense that the purpose of a company could be defined in a way that differs from the way in which the firms themselve self-define their own purpose. The purpose of a company… First a company is a legal framework, it is a structure with multiple purposes First, it combines forces in a partnership or capital in a corporation to conduct business and share the profits earned from such activity. This is the lucrative purpose of a company as opposed to the altruistic purpose that might underly an association Today this is…Fundamentally we can say that the vast majority of companies are driven by this number one objective maximizing profit for the benefit of shareholders. If you would ask to today’s managers “what is the purpose of your company?”, I think most of them would still answer, “to maximize shareholders’ value”. Emmanuel Faber, the CEO of Danone, turns Friedman on his head. For Faber, the purpose of a company is to optimize its contribution to society at large, while still ensuring an adequate return for shareholders. Quite a revolution! To me, that’s the ultimate expression of CSR. A company should exist to bring as much positive value to society as possible, through the products and the services that it sells. Companies are widely believed to be prospering, at the expense of society and a big part of the problem lies with the companies themselves. Even today, many still embrace this credo, which reduces companies to just moneymaking machines. Successful companies must be able to demonstrate that they earn a profit due to their positive impact on society. I think the ultimate purpose of the corporation is not profit for shareholders, but it’s progress, economic and technical progress for society. The first change in corporate culture could bear on the raison d’être of the business firm, which should be economic and technical progress for society. Is the corporation ready to integrate in its strategy and its behavior the dimension of common good? And to ask the question: “What kind of world do we want to create together with the immense resources we master?” I refer especially to the scientific and technological resources which are giving the corporations really the magic power on our future. So the second change in the corporate culture concerns statesmanship and the common good. It’s a much more complex and deeper task to convince and motivate people than to maximize resources. The leader is the architect of a collective action of shared values and a collective ethics, which are necessary to convince people at work to accept change, to become creative and to become innovative. Managing resources is important but motivating people for change, creativity and entrepreneurship is still much more important. All of them without exception speak passionately about how the products and services their company sell actually make the world a better place. The group ENGIE seeks to develop efficient, innovative solutions for residential customers, cities and companies by leveraging its expertise in four key segments: renewable energy, energy efficiency, liquefied natural gas and digital technology. The purpose of INNERGIC-its raison d’être, the reason why I founded the company- is to facilitate and to enable the transformation of companies to prompt the sustainable change that we so urgently need to have in our society. PROXIMUS is a telecommunications company operating in the Belgian and international markets. Our high-quality, interconnected, fixed and mobile networks offer access anywhere and anytime to digital services and data, as well as to a broad offering of multimedia content. The purpose of CAP conseil is to integrate sustainability into the organization So what do we do? We provide advice, services, training and audits to help a company progress in terms of sustainability. The MARS corporated is a family owned business with a long-term perspective and mutuality is a core principle and the core principle of mutuality is that a shared benefits will endure, so a mutual benefit is a shared benefit, and a shared benefit will endure, and this is what is driving the way we do business and the objective of our company, of MARS, is to become the most mutual company of the world. CSR is in a sense the gradual realization that business models and management models have to adapt to address new forms of scarcities that management and business and entrepreneureuship can address in an unique way. In the second place, a social welfare contribution might be more proactive, such that the organization adapts its strategy and operations to improve its stakeholders’ well-being. It says that “social responsibility is the responsibility of an organization for the impacts of its decisions and activities on society and the environment, through transparent and ethical behavior”. This kind of behavior “contributes to sustainable development, must take into account the expectations of stakeholders, is in compliance with applicable law and consistent with international norms of behavior, and is integrated throughout the organization and practiced in its relationships”. CSR is all of the social, environmental and economic initiatives undertaken by companies and organizations on a voluntary basis, for the long term, and in cooperation with all involved stakeholders. CSR is the sustainable development concept, applied to companies and organizations. It tries to answer a central question: How can we produce and consume so that there is something left for future generations, without exhausting the planet and this in collaboration with the stakeholders. So it needs knowledge about what those impacts are, how they are perceived by stakeholders and whether the organization has done enough to prevent or mitigate those impacts. I believe CSR implies that companies focus not just on making profit and satisfying the needs of their shareholders but also on respecting and taking into account the needs of other stakeholders, such as employees, their neighbours, and their customers. In more detail, it means taking societal values and expectations into account, establishing long-term relationships, and understanding both perceptions and objective facts in the course of serious efforts to find sustainable solutions with multiple stakeholders. Using a stakeholder and organizational culture-centered perspective, we characterize the CSR idea as follows: It is a stakeholder-oriented notion that involves the voluntary commitments of a business organization pertaining to issues both inside and beyond the boundaries of that organization and that are driven by the organization’s understanding and acknowledgement of its moral responsibilities regarding the impacts of its activities on society. A practice of men and women in business that are collaborating with men and women in society, is it from governments, local communities, non governmental organizations or academia and they bring together their talents, their competences, their passion but also their shortages and that’s why they collaborate to co-develop solutions to human problems, to environmental problems that we are going, that we are experiencing today in our society. The recent economic and financial crisis has shown the limits of companies’ abilities to combine both concerns in a virtuous circle. Can we still talk of an authentic or a voluntary project when it is in response to a strong and societal pressure to “be” or to declare yourself socially responsible? We can we can specify that initiatives designed merely to respect the letter of the law or economic obligations are not CSR initiatives. A publicly traded company that respects transparency as an accounting practice or creates value for its shareholders also is not engaging in CSR per se, because these actions are linked to its economic and legal obligations. It needs to be measured, or at least conceptualized, along a continuum, so organizations are considered more or less responsible, depending on their progress from a defensive stance toward a more proactive approach to CSR. CSR is something that should be embedded in all companies’ operations and core strategies. Companies have to create value for themselves and for society at large over the long run. If we must use these terms, “CSR” or “sustainability”, they should represent something that is both really highly strategic and directly connected to the core business of the company – not something which is peripheral, like many companies seem to believe. So in my opinion, a truly “socially responsible” company develops innovative solutions that are good for society and good for its business. It needs to be integrated into the hearts and minds of everyone in the company, as part of the company’s DNA. What CSR means to a business organization and its members, as well as the actions and policies that the business organization will adopt in this context, vary from company to company. Finally, this definition suggests that the organizational context and specific characteristics -like values, culture, climate, or the history of the organization – likely influence the way the company approaches and acts on its social responsibilities. As should be clear, CSR has been defined in many ways, in both literature and practice, over various times and places. ” Thus, CSR represents a complex notion for corporate actors, and there is no such thing as a one-size-fits-all CSR solution. In addition to their economic and legal duties, they have ethical and discretionary responsibilities to society, which reflect the requirements, expectations, and desires of multiple stakeholders in the industrial and societal environment in which they operate. To fully meet their corporate social responsibilities, companies need a process in place, so that they can integrate social, environmental, ethical, human rights, and consumer concerns into their business operations and core strategy, in close collaboration with their stakeholders. Second, the definition proposed by Professor Aguinis in 2011 described CSR as context-specific organizational actions and policies that account for stakeholders’ expectations and the triple bottom line of economic, social, and environmental performance. On the basis of these two definitions, I can highlight six main characteristics of CSR, with a broader view: First, compliance with laws and conventions is a prerequisite of CSR, but not the end of the path. Second, CSR should be a strategic and long-term corporate effort. Managers should define what CSR means for their own company, depending on the context in which it is active and the specific set of stakeholders’ expectations. Although these forms of CSR are familiar to most people, the list cannot fully capture the range of practices associated with ethical corporate behaviors and the complexities of contemporary CSR. In particular, CSR is not limited to charitable contributions and public relations. Rather, CSR includes broad corporate initiatives designed to reduce the negative impacts of operations such as consumption of resources, production of waste, but also to increase the positive impacts of operations such as offering fair wages, improving working conditions, and ensuring social justice. 1. Becoming familiar with CSR > What is “Creating Shared Value” (CSV)? > Why does Nestlé prefer to talk about CSV instead of CSR? What does CSR, or Corporate Social Responsibility mean for you? And why do you prefer to talk about Creating Shared Value ? We prefer to talk about Creating Shared Value because we believe that CSR is more linked to philanthrophy. Creating Shared Value for us means everything what we do, yes we want to create value for our shareholders but in the same time and in the parallel priority we also want and have to create value for the society. Basically, we do Creating Shared Value because it’s good business and not just because it looks good. They are truly convinced that the ultimate form of corporate social responsibility is to produce products and services that contribute to the progress of humankind, through innovation and entrepreneurship. They also seek to minimize their negative impacts on the environment, people and communities, and they work to behave in ethical and responsible ways. It is an interesting development that actually is, in my view, going in the right direction although fondamentally, it has not addressed the number one issue which is “What should be the right level of profit ?” Creating Shared Value implies creating social welfare, in coordination and cooperation with stakeholders. With time, the CSR concept became richer and richer, including philanthropy, environmental concerns, social responsiveness, ethical rectitude, fair trade, citizen participation, stakeholder management. In this sense, Creating Shared Value, or CSV, can be considered one of many contemporary expressions of CSR, Critics may argue that CSV focuses too narrowly on just shareholders and consumers. In addition to noting that CSV is not very original, they explain that its focus on strategic business developments and markets means that the CSV idea is unlikely to pick up on some of the really complex CSR challenges that businesses face -for example, corruption or fundamental human rights issues. In situations where win-win opportunities might exist, then adopting the CSV perspective is certainly a great way to identify these opportunities and potentially combine business and social value creation. In many situations, social and economic outcomes just don’t go hand in hand, and some stakeholders suffer due to the choices that the organization makes. Instead, in many cases, managers and their companies have to trade off among business, economic, and social forms of value creation. Some of those academics I mentioned earlier argue that with CSV, Porter and Kramer are attempting to whitewash the problem of trade-offs and are disregarding the potentially negative impacts of corporations and their activities. Such arguments also indicate that this way of thinking resonates across each of the three central dimensions of the CSV idea, that is, reconceiving products, redefining productivity, and enabling clusters. Still, by promoting the CSV notion, Porter and Kramer also have contributed to spreading some interesting CSR-related ideas. In particular, Creating Shared Value or CSV helps contribute to elevating social goals to a strategic level, in a way that appeals to both practitioners and scholars. A stakeholder is a category of persons that has a stake, a group of people that are affected by the decisions of the firm, persons that have something significant to gain or lose from the firm’s decisions, and that share the same type of relationship with the firm. The one who buys shares and thus invests his capital in a firm is obviously affected by the decisions of the firms. Workers, suppliers, consumers, neighbours are also affected by the decisions of firms and thus also have a stake. A stakeholder is anyone impacted by the activity of a company and personally interested in the activity of the company They include the shareholders, who put capital at risk to support the activity of the company. As long as the company engages in profitable activities, the impact on shareholders is positive: the value of these shares increases, and shareholders can receive dividends. Third, suppliers, which engage in business with the company and generate some fraction of its activity. Fifth, public entities, which generally benefit to the company, such as by providing public transport, public infrastructures, or an educated workforce. The main external stakeholders of Spadel are public authorities, customers, industry associations, nutrition experts, environmental, and social NGOs. So regarding the stakeholders of my company, I really see stakeholders as my customers, first but also my suppliers, the brands I sell online and also all the other, other companies I’m working with. For the ENGIE Group, the key stakeholders are B2B and B2C customers, local authorities, commodity suppliers and service providers, employees, community partners, and employee representative bodies. Basically, a company needs to undertake a 360 degree investigation of all parties that it can affect and that it can be affected by. Next the company must reflect on the best representatives for these various stakeholders and how it can enter into a permanent and dynamic dialogue with them. Ah, identifier les parties prenantes n’est pas chose facile : il faut cartographier sur le sujet les interlocuteurs légitimes sur un plan légal c’est-à-dire, reconnus et acceptés de droit; et les interlocuteurs légitimes de manière substantielle, c’est-à-dire, les acteurs opérationnels sur le terrain, médiateurs, interlocuteurs de référence. Alors, il faut benchmarker les projets antérieurs sur le sujet, opérer une veille sur les mouvements de contestations, demander l’avis aussi auprès de tiers neutres comme les ONG ou les associations; ceci peut être une première étape. Mainly, stakeholders are identified on the basis of their relationship with the company’s core business and their clear demonstration of what they require or expect from us. So in this perspective, you have the customers downstream from the company with distributors, you have the employees in the middle, and then you have the suppliers upstream. I personally believe that this linear approach is insufficient and that we should rather replace it by an ecosystemic perspective, where we look at all the stakeholders around the company, who are all the partners, who could potentially help the company create more value. First, when it comes to its employees, how does a company create an environment in which employees can thrive and flourish, grow, and innovate? Second, with regard to nature and the environment, how does a company make sure that its activities are positive for the environment? Being positive means not polluting or destroying resources in such a way that they will not be available for future generations. Third, related to society at large, how does a company ensure that its purpose contributes or adds positive value to society at large? My vision of a socially responsible company is therefore one that is conscious of these three interrelated dimensions and takes actions accordingly. They say that we are not going to reindustrialize Europe if there is not massive engagement and investment of companies with schools and teachers. In an old, or in a demographic change like Europe that is looking at more and more old people, spending about health care and spending about repairing our old infrastructures and roads, will not make it possible to further invest public spending in schools. So the talents that companies need to grow, to stay competitive is extremely important. So how can we overcome that? How can companies also ensure that these more than five million young people that are unemployed or seven millions not in education, not in employment, not in training. So that is one critical issue and that is why also a number of business leaders – and the leaders of the EU, president of the Commission, of the Parliament, of the Council- have come together and have launched a European pact for youth. Another topic is how to establish a new culture of collaboration between companies and cities, and urban cities that goes beyond the relationship of procurement? How is it that cities and business can think the circular economy that we need to develop across Europe ? These new products, these new services whereby we use once energy for a multi-life product, a multi-life service. In 2017, next year, stress and negative stress will be the first disease that will impact business in terms of productivity, of course in terms of people motivation and creativity and productivity. How do you revisit a normal human resource process of your company? And how do you address active ageing when your people are already twenty to thirty years old, thirty to forty years old, or fifty to sixty years old ? It’s not by finding some gadgets at the very end of their careers that you bring a structural solution to that demographic change, element that companies will have to cope with. Is it in europe or is it in China, or is it in Japan by the way? And finally, there is also a fundamental challenge for companies with regards a more sustainable supply chain and human rights. How do you make sure that your suppliers and the suppliers of your suppliers can comply with the fundamental international conventions and rights. Is it from business initiatives or is it also from government initiatives… Socially, we need to create the best possible working conditions and make sure that all employees receive their fair share, in return for the work they invest in the end products that our companies put on the market. Ethically, one of the key challenges we are facing as an industry is the debate about food and health, especially related to obesity and diabetes epidemics. The global context with the fashion industry is that with a fashion product, the only way the big companies had to decrease the price was to outsource the manufacturing. In the energy field, as in many other sectors, the social challenges relate to training youngsters, retaining talent, addressing intergenerational issues and making sure that the available training meets the company’s staffing requirements. Among the first questions we asked each expert was: Who are the stakeholders? Whether individuals or groups, stakeholders affect or are affected, directly or indirectly, in the short and long term, by strategies, decisions, actions, and messages that the organization has put into place to attain its objectives. First, traditional stakeholders have a direct contract with the company, including workers and their representatives, investors and shareholders, clients, suppliers, managers, bankers, and regulatory bodies. Second, non-contractual stakeholders have no direct contract with the company, as exemplified by national, regional, and local authorities, NGOs, consumer associations, rating agencies, and neighbors. This conceptualization can help managers prioritize competing stakeholder claims, based on an evaluation of three stakeholder attributes: First, stakeholder power or its ability to affect the organization; Second, stakeholder legitimacy or simply stated, the public acceptability of its demands; and three, the urgency of the claim, such that it might require immediate attention and exert strong pressures to act. For the time being, CSR is still too close to practices and techniques. I think the main concern is to integrate the CSR movement into politics and into ethics. Limiting CSR to good practices without going deeper into the political -in the a Greek sense of the term- the political aspect and dimension of this extremely powerful capacity of creating science and technology is too superficial I mean. For the time being, I believe that CSR has not completely integrated that ethical dimension, which is so important. So the main concern for me of the CSR movement is to get back its political and ethical dimensions. The problem of CSR communication is that it is often not supported by a robust vision of the role of the firm in society, besides the difficulty of window dressing. Currently, I mean most of CSR initiatives -as there are developed by mostly large corporations- it doesn’t work very well. Meaning, quite often Corporate Social Responsibility is still seen as an add-on to strategies, seen as a bolt-on aspect of business processes and as such we don’t,… it doesn’t allow actually to address correctly, in the right way I mean, the huge challenges that businesses faced in, that society actually faces today. Corporate communications often make CSR or sustainability seem really easy. Managerial capture refers to when companies redefine CSR or sustainability, such that it fits their business-as-usual practices. In other words, managers interpret CSR in a limited way, so that it looks consistent with the goal of shareholder wealth maximization. In a related note, in my opinion, the CSR concept has been unfortunately commercialized. It’s not a strong enough counterforce, but in terms of govenance or climate change, global regulation, it would, it would be a lie to pretend that CSR for the moment has made a lot, has made a good difference, since all the indicators go in the different directions. Yes, well the CSR as is it practiced today still has a lot of defaults. If we were to share the moral view that responsibility is restricted to following the law, irrespective of any other impacts, then CSR should be abandoned. That, obviously, is not my belief! But most criticism of CSR refers to the seemingly small impact CSR has had so far in changing the world. 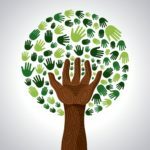 To me, it makes no sense at all to judge a framework that is designed to be used on an organizational level, on the basis of its global merits, when we are still far from a broadly shared or global adoption of what strategic CSR means. There is nothing inherently flawed with CSR. Criticisms can be levied only at the way it is often interpreted, narrowly, and reduced to a form of risk mitigation, compliance and “egocentric” philanthropy. Criticizing CSR would be like criticizing the concept of love because people’s relationships are messy. Love has not taken over the world, but that doesn’t mean love might not change the world radically, if every human being were to change their hearts, forced themselves out of a survival mode, and became more conscious, and acted primarily with love. Of course, some might say that the current system is so strong and entrenched that CSR cannot do much to change it. That claim doesn’t really mean anything, because it all depends on what CSR we are talking about. If CSR is a movement, an aspiration, an horizon, a growing conscience, it must evolve and take new forms to move from the periphery of business activities to the center. If the values encapsulated in CSR are authentically carried by sufficient numbers of managers , it probably would be enough to overhaul the system. At this point, you probably could very easily come up with a list of the different critiques of the construct and the ways that companies practice CSR. Maybe you would mention that are not non-profit organizations, so CSR initiatives detract from their focus on profits; that CSR is a financial burden for the corporation and its stakeholders; that shareholders suffer lower returns on their investments; and that consumers must bear the costs of CSR activities. Or maybe you stated that CSR unreasonably increases the political power of private actors who seek to replace the state; that corporations should not make the decisions that really are the responsibility of democratically elected governments and social welfare organizations; and that governmental regulations are more effective than CSR for managing social and environmental failures in the market. Maybe you would express concerns about the potential loss of power and control corporations can suffer when they take a CSR approach to business. Although some specific CSR projects and practices at the micro level have led to some nice improvements, at the macro level, nearly every indicator of social, environmental, and ethical health is in decline. In turn, authors such as Visser, Fleming, and Jones-among others- have regularly offered the striking pronouncement that CSR is dead. But the concept of CSR has been assassinated multiple times, only to re-emerge again and again, each time in a slightly new form, over the past century! That is, CSR gets encouraged, researched, taught, and killed and then the cycle starts over again. Professor Jean-Pascal Gond from Cass Business School accordingly uses the image of a phoenix to describe the CSR concept and illustrate the mystery of its continued deaths and resurrections. To conclude this video, take a listen to Jean-Marc Gollier, who prefers to criticize a world without CSR, and then consider Jan Noterdaeme’s proposition of CSR as a common-sense revolution What do you think? Being a critic of CSR is too easy! I would prefer to criticize a world without any CSR. CSR represents a shift, from an unbearable, totally “market-oriented” policy that has put our world in environmental, social, and cultural deadlocks and generated deep crises, especially since the 1970s, when market forces were regarded as the answers to all our problems. So the challenge of CSR is to expand our social ideology, to include a sense of responsibility and shared ethical values-the first of which must be justice. Try, fail, stand up, try again and I’m sure that we will be all looking with a lot of empathy, childhood and care about your efforts in doing CSR; not speaking about it, but doing it. So what is the purpose of your company ? It is a very good question; a very long question also to answer. We summarize it as our fundamental belief in “Good food, Good life”. We are existing for 149 years and we aim to enhance the quality of life with better food. They develop together with other doctors and scientists the very first baby food to help mothers who were not able to breast-feed their kids, that their kids could survive. We have a motto which is “Good Food, Good Life”. It’s about providing food which is good, in the sense that it tastes good, that is good, in a sense that it is good for you, and that it helps you get a good life, and a good life is what…it’s a living wage, it’s a family that can grow up in safety, it is health, it is well-being… I mean there’s a lot of things behind this notion of good life. In our next module, you therefore will learn how to transform your organization to become more responsible and how to integrate stakeholders in your decision making. They also will caution you about the potential obstacles to overcome on the road toward becoming a more responsible organization. Some skilled practitioners, active in different sectors, will share their experiences, both good and bad experiences, with implementing CSR strategy and stakeholder dialogues. In this second module, we will be have the opportunity to learn more and to question further the Creating Shared Value strategy applied by Nestlé. We will learn how Nestlé, in collaboration with PepsiCo, consolidated the warehousing, co-packing, and outbound distribution of its fresh and chilled food products to retail customers in Belgium and Luxembourg, generating important cost savings and CO2 reductions. We will also investigate why and how Nestlé -a multinational corporation that sells baby food and formula-supports breastfeeding. Are you ready for the next step of our journey? I am waiting for you!